Along the Mid-Coast, travelers can expect to enjoy all of what has made Maine famous: panoramic water views, lighthouses and lobsters. 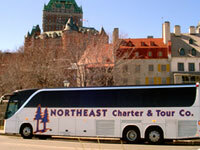 Likewise, the transportation options in this region are equally impressive - from visiting the islands by ferry, to exploring towns and villages by bus or trolley. Cyclists touring the Mid-Coast region will enjoy graceful water views and picturesque fishing villages, along with a wealth of arts and entertainment offerings, historic lighthouses, museums and galleries. 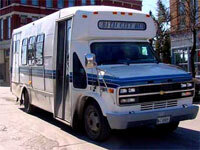 Operated by the City of Bath, provides public fixed route bus service in the City of Bath. 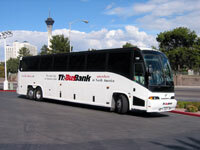 CityBus operates Monday through Friday. Bailey Island is an island in Casco Bay, and a part of the town of Harpswell, Maine, USA. From www.criehaven.org: Criehaven is a very special commmunity. We are the farthest offshore inhabited island on the East Coast. Criehaven Township includes Ragged Island, Wooden Ball Island, Seal Island, and Matinicus Rock. Deer Isle/Stonington is accessible by automobile over a high, narrow suspension bridge, or via ferry. Fishing remains a mainstay on this island, which also features quiet woods, open fields and a vibrant artist community. 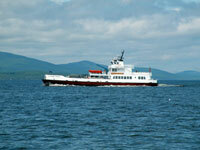 Located three miles off Lincolnville Beach in the mid-coast region, Islesboro is accessible via the Lincolnville Ferry. The island is home to open meadows and tall spruces, as well as a lighthouse and museum. 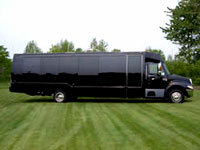 Located 23 miles on the outer edge of Penobscot Bay, this island is accessible only by air or ferry. Matinicus remains a lobstering community. Visitors should be on the lookout for rare sea birds, and include a stop at Matinicus Rock Light. Monhegan is a small, rocky island ten miles from the nearest mainland and scarcely a square mile in area. It is accessible only by boat and there are no cars or paved roads on the Island. Located approximately 12 miles off the coast of Maine, Vinalhaven is only eight miles long and should be enjoyed by bike or on foot. Lobstering remains a vital part of the economy, with a diverse group of smaller businesses to meet community needs. 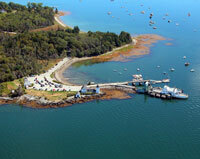 The village of Vinalhaven, located on the southern shore of the island, is the center of commercial activity.